Looking for a waste removal expert? I contacted Lee at Dial-a-bin as we urgently required a 40 yard roll on/roll off skip. Not only did I find Lee very helpful the price quoted was extremely competitive & the service was exceptional. 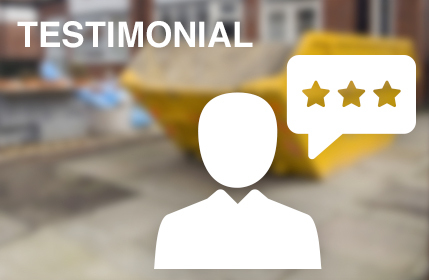 I ended up needing 3 skips over the space of 2 weeks for a job we were working on and I wouldn’t hesitate to recommend Dial A Bin to anyone. ← Why is it so important for businesses to recycle? Click to call 01280 851081 Online Contact Form Request a Callback?